The church at Colossae was under attack from false teachers who taught Jesus was not actually God. Paul addressed these issues head-on. 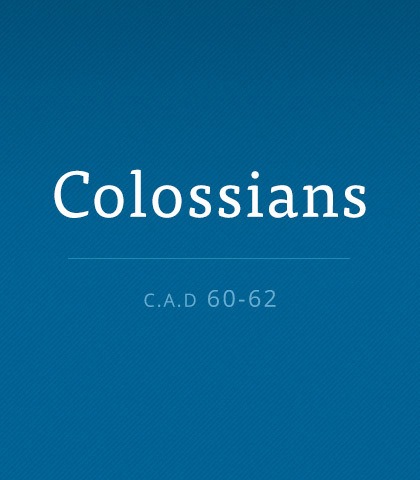 Read more about the book of Colossians. Buckle up and keep your hands inside the vehicle at all times, because you’re about to go on the wildest ride of your life. This ride will involve time travel, taking you all the way past human history, the creation of Adam and Eve, and the beginning of the universe. This ride—this journey—will transport you to eternity past, to a time before time began. Are you ready? It’ll require you to use your imagination and think, but it’s a trip worth making. What’s your priority in life? An image? A name? A job? Once you’ve given your priorities to the Lord, who knows, He may pour them back on you. Or He may keep them at a safe distance and every once in a while let you enjoy a few. But they’ll all be added to you from His hand rather than from your own. We take for granted the freedom of reading the Bible in our own language. The Bible came to us at great cost. Men and women sacrificed their lives so God’s Word could be in the hands of the common people.